I’ve been super busy with establishing a cohesive brand for Woo Woo Workshop from the shop all the way down to packaging…here’s a little spotlight on our packaging! We reached and exceeded our 300th sale last night in our shop on Etsy! The lucky 300th tag is The “Piper” Woo Woo Tag™ and along with two others will be making their journey next week to their forever home in Australia! Thank you to all of our loyal and loving customers for your immense support. 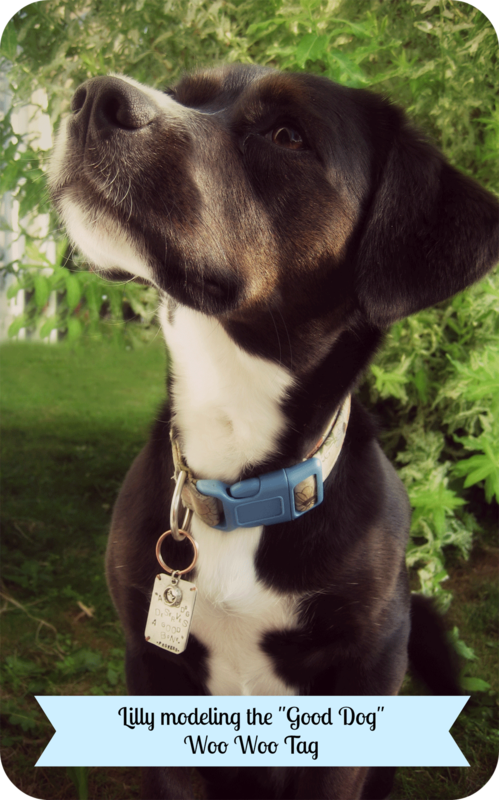 Here’s to proper pet identification and supporting handmade artisans around the world. …we add more ways to make the special gifts that you purchase from us even prettier upon their arrival to your doorstep. We’re super stoked to call WordPress our new blog home and I have so many plans lined up to really enrich the experience for our readers! I humbly welcome you inside the workshop and I certainly hope you find my world as enjoyable as I do! It’s here where I will talk all things pets, Etsy, art, graphic design and full time entrepreneurial life. I will toss into the mix my passions that range from black and white films, good reads, good music and good food! We’re happy to be here and we invite you to follow us on our creative journey! 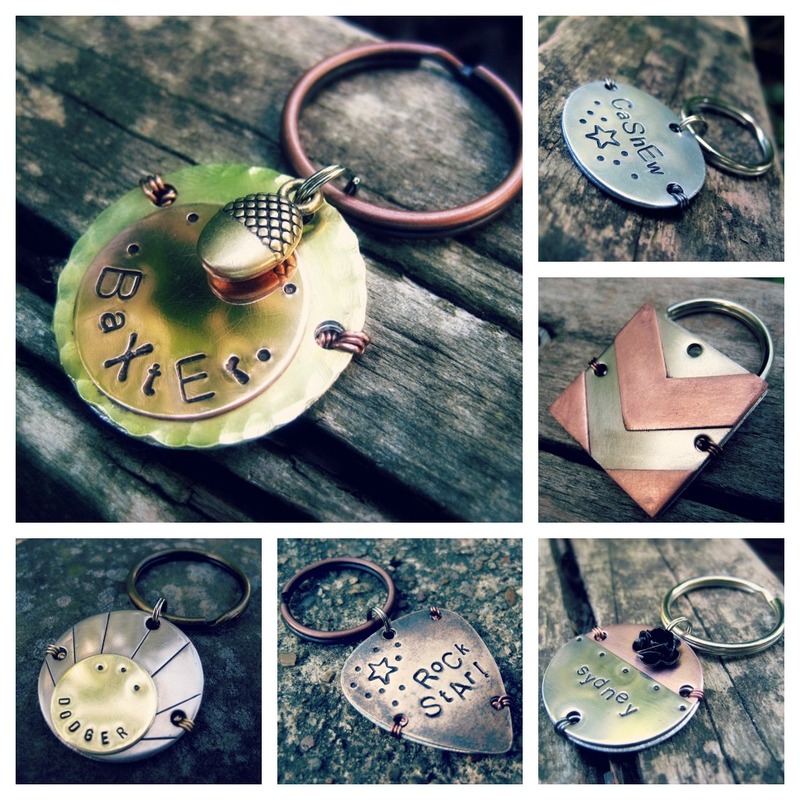 We’ve been busy creatives in the Workshop for the past couple of months…so many wonderful things happening! We’ve reached (and exceeded) our 100th sale mark and we can’t be more thankful to all of our loyal Woo Woo Fans. It’s been a little over 4 months since our first sale and to have reached the 100th is humbling. 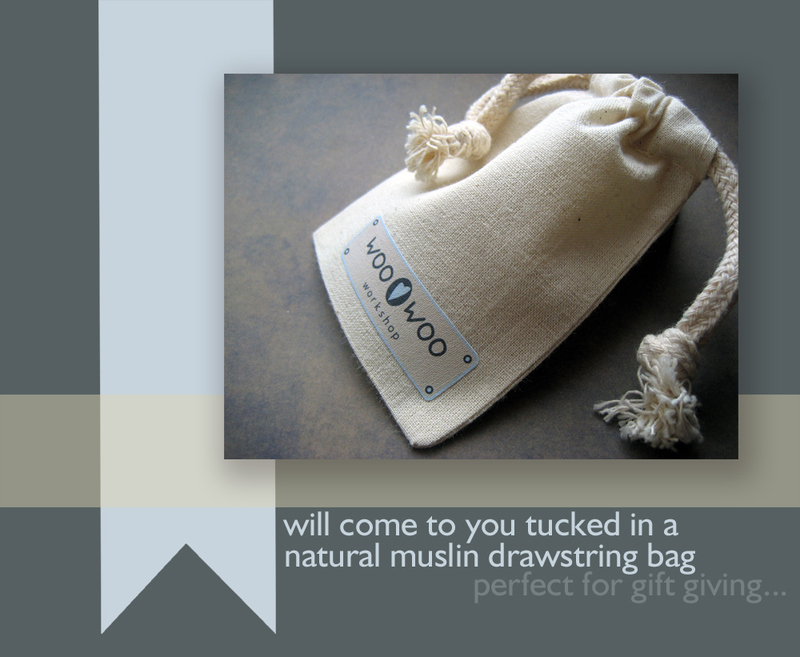 As a big Thank you to all of our Woo Woo Fans, Friends and Followers we’re launching our first giveaway! 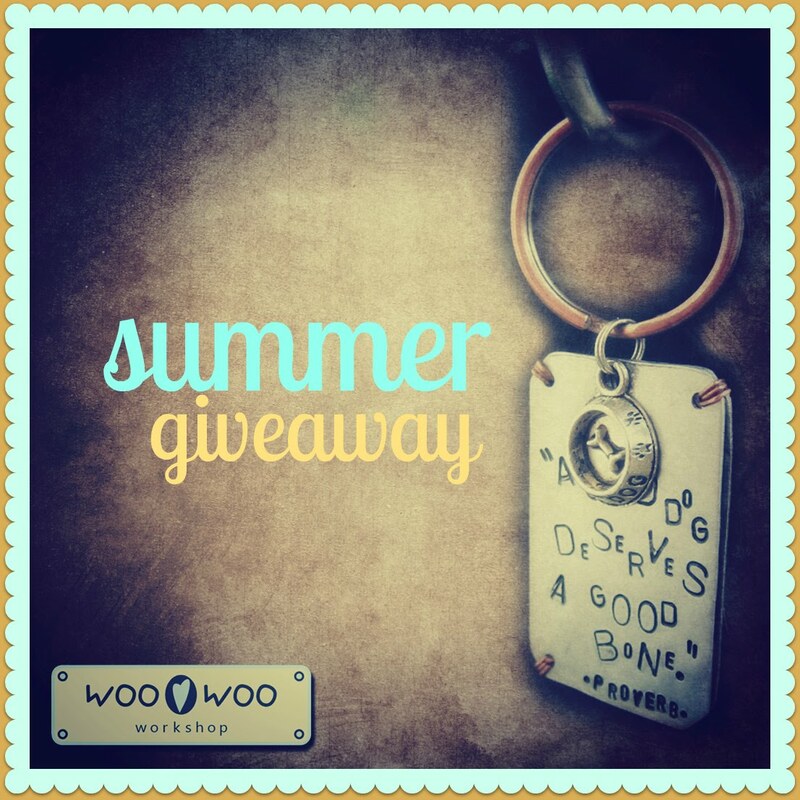 Enter for a chance to win a Handmade Personalized Woo Woo Tag of YOUR choice for the furkid in your family. If you do one or all five of the ways to win, make sure you leave a separate comment below for each form of entry. The Summer Giveaway will end June 28th at midnight EST. The winner will be chosen by Random Number Generator and announced on here, our Facebook Page, and Twitter on Friday June 29th. The winner can then email me at: melissa@artsavvystudio.com with their Woo Woo Tag of choice along with their furkids name and their contact information and where we send it off to!